Huntington Theatre Company announces the lineup of the 2019-2020 season, featuring three world premieres, a Pulitzer Prize-winning play, a classic Tony Award-winning comedy by one of the world’s most celebrated playwrights, and two adaptations of powerful literary works. The new season opens with the first of three world premieres which will all be performed at the Calderwood Pavilion at the BCA. Beginning August 30, The Purists is a new play by emerging playwright Dan McCabe and directed by Tony and Grammy Award winner Billy Porter. The second world premiere is We All Fall Down, by Boston area resident and Huntington Playwrighting Fellow Lila Rose Kaplan, directed by the newly named artistic director of Hartford Stage and Obie Award winner, Melia Bensussen. The final offering at the Calderwood Pavilion is Our Daughters, Like Pillars, by another Boston area native and Obie Award winner, Kirsten Greenidge, directed by Kimberly Senior (Disgraced on Broadway). At the Huntington Avenue Theatre, the fall begins with Tony and Academy Award winner Tom Stoppard’s whip-smart comedy, Rosencrantz and Guildenstern are Dead, helmed by Huntington Artistic Director Peter DuBois. Two Boston premieres follow beginning with Quixote Nuevo by Octavio Solis, directed by KJ Sanchez and produced in association with Hartford Stage and Alley Theatre. Next at the Huntington Avenue Theatre is Lynn Nottage’s Pulitzer Prize-winning play Sweat, directed by Kimberly Senior (Disgraced on Broadway). The 2019-2020 season closes in celebration of the 50th Anniversary of Nobel and Pulitzer Prize winner Toni Morrison’s first novel, The Bluest Eye adapted by Huntington Playwrighting Fellow and IRNE Award winner Lydia R. Diamond. The Huntington welcomes back a number of artists with whom it has had long term relationships, such as Huntington Playwriting Fellows Kirsten Greenidge (Luck of the Irish, Milk Like Sugar), Lila Rose Kaplan (Home of the Brave), and Lydia R. Diamond (Stick Fly, Smart People), as well as directors Billy Porter (Top Dog/Underdog, The Colored Museum), Kimberly Senior (The Niceties), and Melia Bensussen (A Doll’s House, Awake and Sing!, Luck of the Irish, Circle Mirror Transformation). Subscriptions for the 2019-2020 season are now on sale. Single tickets to The Purists and Rosencrantz and Guildenstern are Dead will go on sale in mid-June and tickets to the rest of the 2019-2020 season will go on sale in August. For more information, visit huntingtontheatre.org. Tom Stoppard’s Tony Award-winning Best Play arrives in a marvelously funny, spectacularly beautiful new production. This modern-day classic tragicomedy imagines the lives of two minor characters from Shakespeare’s Hamlet, Rosencrantz and Guildenstern. As the story unfolds, they voice their confusion about the play that’s being performed without them, untangling bigger questions about life and death, reality and art. It’s all from the pen of Academy Award and four-time Best Play Tony Award winner Stoppard (Shakespeare in Love, The Real Thing, Arcadia), and directed by the Huntington’s own Artistic Director, Peter DuBois. One of literature’s most vibrant and memorable characters, Cervantes’ Don Quixote is boldly brought to life by award-winning playwright Octavio Solis in this hysterically funny and exceptionally poetic play. Transported to a border-town in Texas, the eccentric, brilliant knight embarks on a cross-desert quest to reunite with a long-lost love. Chased by Death himself – in the form of roving bands of mariachi Calacas – Quixote always leads with his heart in a world of people led astray by their brains. Quixote Nuevo is a triumphant celebration and a rich, contemporary, theatrical fable that has been created anew by Solis, one of the storytellers behind the Disney-Pixar film Coco. Linda and Saul Stein still live in the Westchester home where they raised their two beautiful daughters. But when Saul unexpectedly retires, Linda summons the family to celebrate Passover for the first time in decades. Linda tends slightly toward the theatrical (okay, a lot), and their family has never been particularly religious (okay, not at all). So, their comic attempts to bring the Seder to life go from riotous to heart wrenching in this play from Huntington Playwriting Fellow and Somerville resident Lila Rose Kaplan. Can this family come together, or will an age-old tradition tear them apart? It’s a surprise to everyone when Lavinia invites her sisters and their mother to a gorgeous summer house in New Hampshire for a vacation that she hopes will last forever. But when the sisters’ stepmother Missy – the woman who inherited their dad’s everything – shows up unannounced, long-simmering feuds flare up, and family bonds are called into question. Where is this family heading? Can they be happy with what they’ve been given? And who invited Missy? Obie Award-winning playwright and Boston area native Kirsten Greenidge (Luck of the Irish, Milk Like Sugar) and director Kimberly Senior (The Niceties) tell the incredibly funny and moving story of one whirlwind weekend in the life of a contemporary black American family. Celebrate the 50th anniversary of Pulitzer and Nobel Prize winning author Toni Morrison’s acclaimed debut novel The Bluest Eye. Brought to life as a tremendously moving theatrical event by Boston favorite Lydia R. Diamond (Stick Fly, Smart People), The Bluest Eye tells the story of Pecola, a young black girl who believes everything in her world would be made wonderful if only she had blue eyes. Enthralling, gorgeously written, and incredibly emotional, The Bluest Eye asks powerful questions concerning racism, beauty, and identity with stunning grace and subtlety. 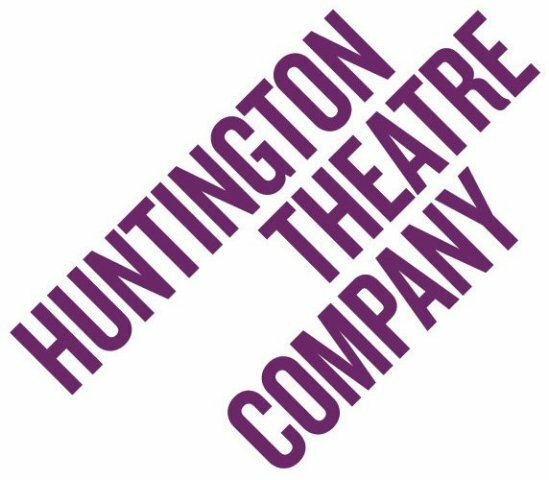 For more information about the artists in the Huntington’s 2019-2020 season, visit huntingtontheatre.org/season/2019-2020/. Subscriptions to the Huntington’s 2019-2020 season are now on sale. Seven-play seated packages start at just $161 and offer the very best value – seven plays for the price of six – and up to 50% off single ticket prices. FlexPass packages (a minimum of 4 tickets to be used for any show and which never expire) are available now for redemption for the current season and beyond. Subscriptions may be renewed or purchased by calling the Huntington Box Office at 617 266 0800 or by visiting huntingtontheatre.org/subscribe (make a link). Groups of 10 or more can place orders by calling 617 273 1657.